Attention: Applying for this award requires you to 1) complete the award application by selecting "apply today" from above and 2) submit an abstract via the abstract submission site. The Health in Aging Foundation New Investigator Awards are presented to individuals whose original research, as evidenced by a submitted abstract, reflects new and relevant insights in geriatrics. The award is designed to recognize individuals who are committed to a career in aging research. Topics are invited in basic research, clinical investigation, clinical medicine, and public health, as well as research in the fundamental neurosciences. No case studies or clinical vignettes will be considered. 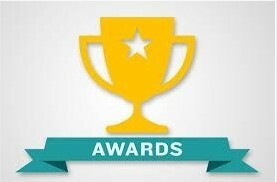 Awards will be chosen based on originality, scientific merit, relevance of the research, as well as the applicant's demonstrated commitment to and accomplishments in aging research. By submitting an abstract for consideration, the investigator agrees to allow the committee the option to select the entry for presentation as a research paper or poster and agrees to make the presentation him/herself. The candidate's biosketch (NIH-style, 4 pages maximum). The research abstract. Abstracts must be submitted electronically to the AGS Annual Scientific Meeting. Click here for the abstract submission site. Three letters of recommendation (limited to 1 page per letter). Letters must attest to the applicant’s involvement in the AGS and the field of geriatrics, the applicant's primary role in the research, the importance and significance of the studies as well as the general research accomplishments of the investigator. $1,000. These funds are intended, in part, to cover awardees' travel expenses to attend the AGS Annual Scientific Meeting.